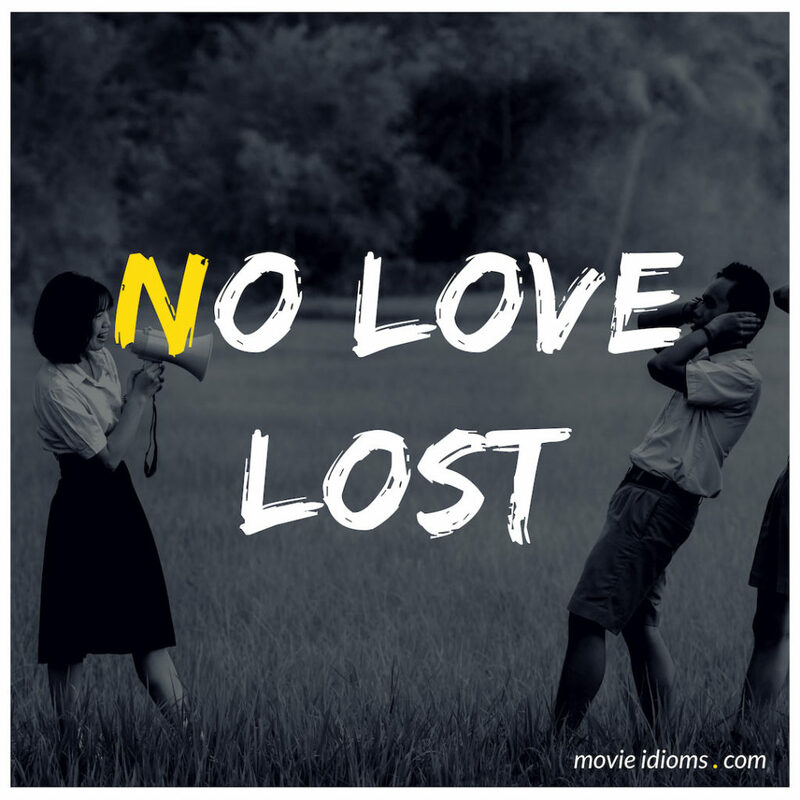 What does no love lost mean? Edwin Newman: It has been described as one of the most vicious presidential races in the history of American politics, and one of the closest. The Republican nominee, Senator Russell P Kramer of Ohio, is practically dead even in the polls with his bitter rival, Democratic Governor Matt Douglas of Indiana. To say there is no love lost between these two candidates is a gross understatement. Diane: Look, I know there’s no love lost between us. Julia Sturges: Thank you, Richard. You were most helpful. Now you see why I wanted to steal a little more time. Richard Sturges: Please, Julia. Let’s not bicker since there’s no love lost between us. Julia Sturges: That’s the tragic part, Richard. There’s been so much love lost between us.